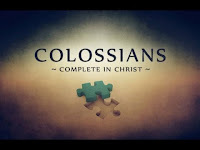 Paul's letter to the people of Colossae stands out as an instruction for the modern-day church, which has almost completely absorbed the teachings against which he warned. NKJV—Beware lest anyone cheat you through philosophy and empty deceit, according to the tradition of men, according to the basic principles of the world, and not according to Christ. NLT—Don’t let anyone capture you with empty philosophies and high-sounding nonsense that come from human thinking and from the spiritual powers of this world, rather than from Christ. NIV—See to it that no one takes you captive through hollow and deceptive philosophy, which depends on human tradition and the elemental spiritual forces of this world rather than on Christ. ESV—See to it that no one takes you captive by philosophy and empty deceit, according to human tradition, according to the elemental spirits of the world, and not according to Christ. NASB—See to it that no one takes you captive through philosophy and empty deception, according to the tradition of men, according to the elementary principles of the world, rather than according to Christ. The first thing to notice is that it is up to each of us individually to "beware," to "be careful," to "not let anyone" take us captive. "The devil has been defeated, so there is nothing for you worry about." "Submit yourself to the local church and trust your pastor." "Recall that Jesus promised that no one can pluck you out of His hand." "Jesus' sheep hear His voice, and they won't follow anything or anyone else." He said, YOU! You take heed and beware that this does not happen to you. His exhortation to not be deceived is repeated in various ways three other times in this one chapter in verses 4, 16, and 18. Would it not serve us well, then, to know that for which we are to be on the lookout so as to not be captured? I hope it does to you, also, as we begin to look at some of the things Paul mentions in this epistle that parallel today's deception in the Body of Christ. If you would like to gain as much benefit as you possibly can from this study, I would suggest that you read at least one chapter each day from this epistle until we have completed this study. You will have read this little letter more than a half-dozen times, which will give you some amazing insights. Because it is such a short book, I would recommend that you read the whole thing every day until we are done; but that may scare some of you into doing nothing. 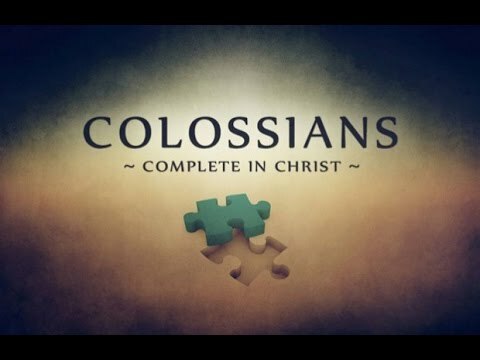 Read SOMETHING from Paul's Epistle to the Colossians each day of the week, beginning today and continuing until we sign off on this study. You will not be harmed by the exercise, I promise. This is awesome, Dale! Thank you for your diligence! I am excited to study this book with you! Thanks for the encouragement, Susan. I am also looking forward to this.